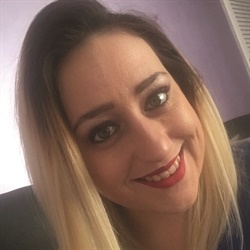 U.K.-based nail tech Danni Simmons started the Nail Tech Network Facebook group in November 2016 when she was eight-months pregnant and trying to keep pre-natal depression and anxiety at bay. “It was initially a local group, but within six months we had requests to join from all over the world,” she says. A little more than a year later, membership is in the thousands. “We just brought on an American admin and would love to see more U.S.-based techs joining,” she notes. For more information, go to www.facebook.com/groups/nailtechnetworkuk.